The highly anticipated new Batman installment opens next Thursday. 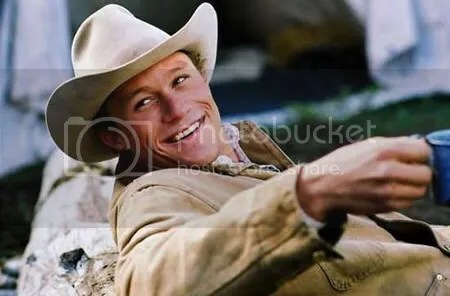 This is also Heath Ledger’s final completed work. Watch I will. Will you? In related news, Batman fans who haven’t check out Batman: Gotham Knight, a collection of 6 anime styles short films may do so here. hmmm… again, slow in japan… sigh. I so want to see it too , loved the first one ! Its Batman. Need I say more? Of course I’ll watch it. The batman anime made Bruce looks more like a Bishounen than a manly character. Serious!!! Saw the preview at STCC. Would you like me to summarize the storyline and spoil the ending after I watch? as for the anime, i happen to chance upon it last week. that batman pic you featured in this post is the best outta all i suppose. the others looks ok only. the one u mentioned, bruce looks most like an anime chacter. lol. the bat suit also looks more like a bird than a bat. ya. the suit looks cook imo, with the “claws” n stuff. and yea, its also the most anime-ish. oh yea a suit that can deflect bullets! who cares about ricochets? Me no fan of Batman, but might give this a go. 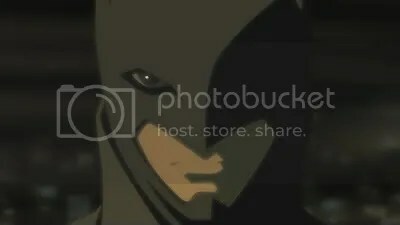 Have heard of that anime version of Batman, but this is my first time seeing a screenshot from it. Doesn’t look too bad..